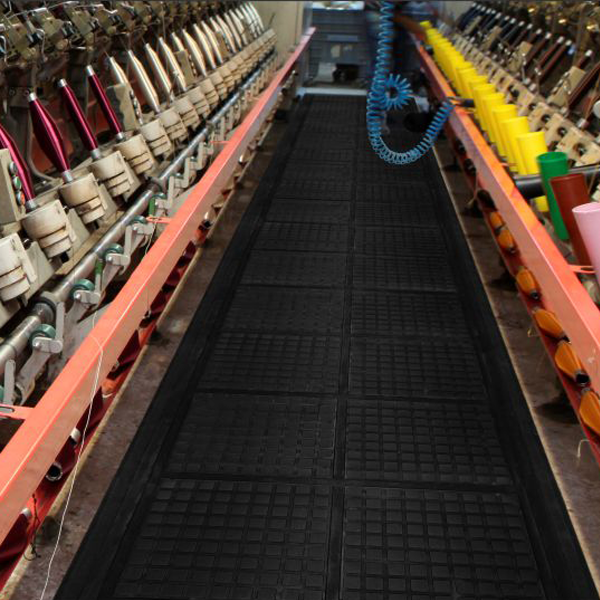 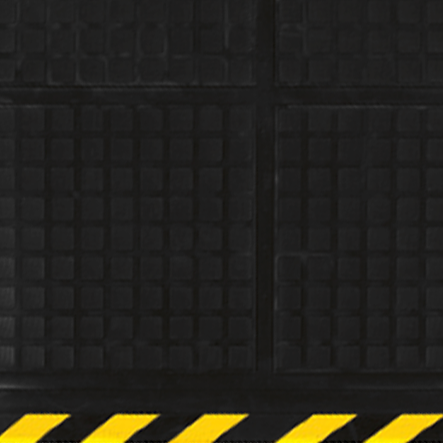 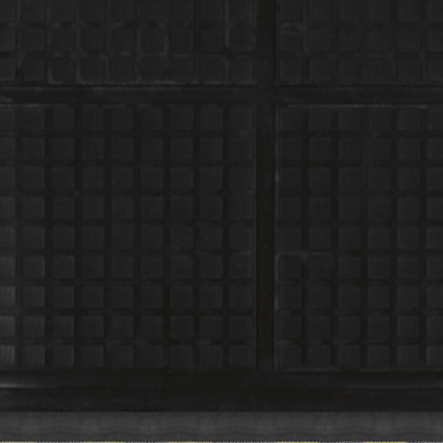 Interlocking, nitrile rubber tiles resist water, chemicals, oils, and greases, while the waffle-like treads increase traction. • Great for manufacturing or industrial applications. 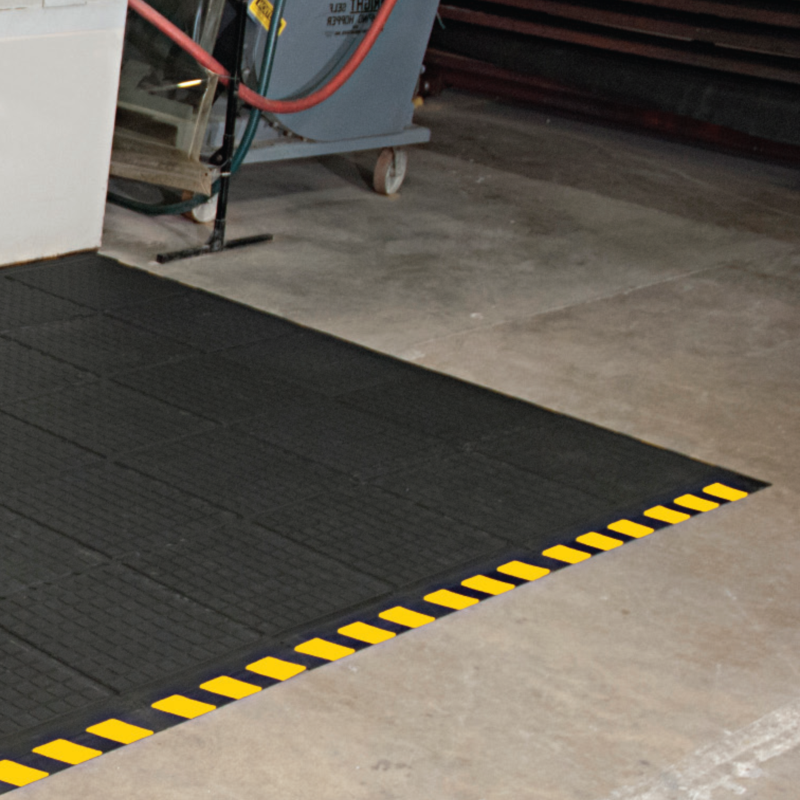 • Borders come with beveled edges for a smooth transition from mat to floor. Available with striped yellow edges to boost visibility. 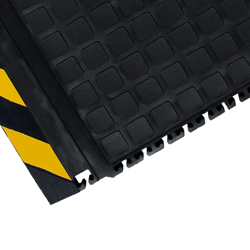 • Welding safe and electrically-conducive. 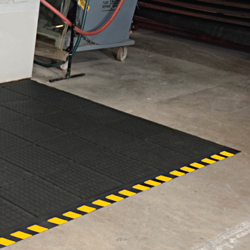 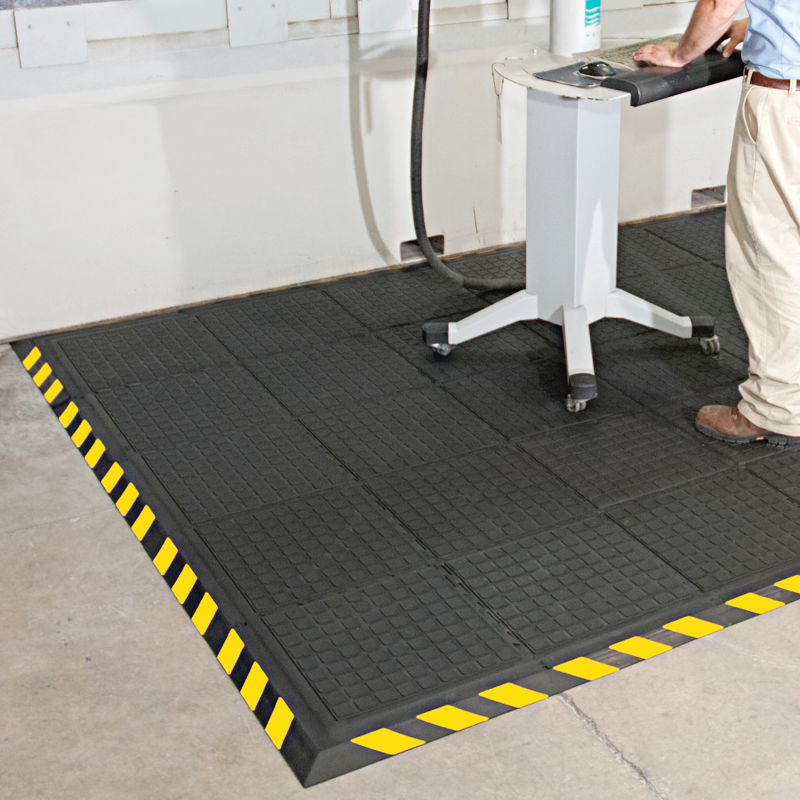 • Grit anti-slip surface improves adhesion, traction, and stability.